Save up your shopping energy for the day after Black Friday instead to support small, local businesses on Small Business Saturday. This year American Express, creator of the initiative to promote local mom and pop shops, is teaming up with Uber to provide free transportation for shoppers in New York City on November 26. Uber is offering one promo code for UberPOOL rides during the event and another promo code applicable through the end of 2016 for first time UberPOOL passengers. Promoting independent eateries, services, and retail stores, the seventh annual event will highlight local companies in cities around the United States. Last year, some 95 million Americans shopped at small businesses during the event, and spent around $16.2 billion, according to the 2015 Small Business Saturday Consumer Insights Survey. This year Uber will make it easier for shoppers to get around New York City by offering free UberPOOL trips up to $20 for American Express Card Members that day. 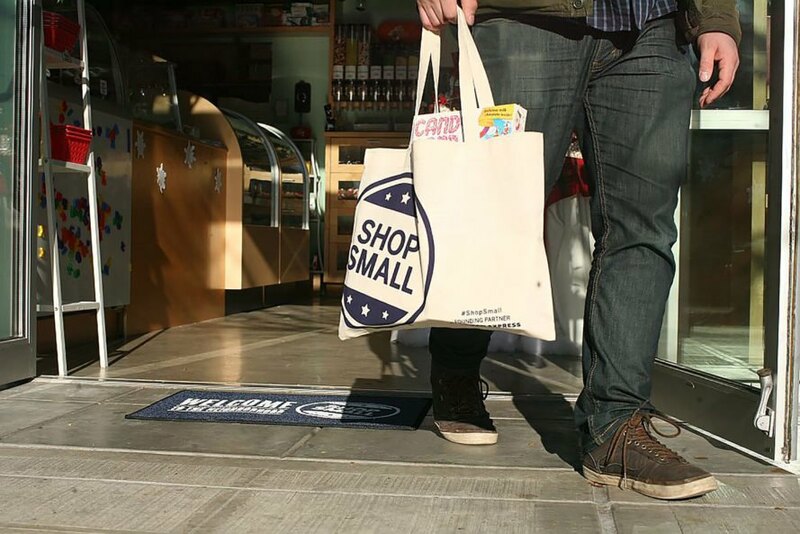 Use the code SMALLBIZSAT in the Uber app to obtain a free ride on Small Business Saturday, November 26. The code will work for UberPOOL rides in any of the five boroughs. You can also check out which businesses will participate in the event on the Shop Small map here. Have you heard about UberPOOL but haven’t tested it out yet? Not only will Uber provide free rides on Small Business Saturday, they’re encouraging New Yorkers to try out UberPOOL for the first time with the promo code SHOPSMALL2016, usable to the end of 2016. The code will enable first time UberPOOL users to get a ride up to $20 for free. Uber will offer free UberPOOL rides on November 26, Small Business Saturday. Users can take rides up to $20 in the five boroughs.